This paper proposes two alternatives to Clark and Riis (1998b)’s sequential model of nested multipleprize contests. First, we consider winning prizes endogenously determined by exerted contest efforts. Second, we extend the model to infinitehorizon. We characterize the unique subgame perfect Nash equilibrium in both models and compare the equilibrium strategies with those in the original model. Bu makalede Clark ve Riis (1998b)’in iç içe geçmiş çoködüllü yarışma modelinin dinamik versiyonuna iki alternatif önerilmiştir. İlk olarak, kazananların alacağı ödüllerin sarf edilen yarışma eforları tarafından endojen olarak belirlendiği bir model çalışılmıştır. İkinci olarak, model genişletilerek bir sonsuz ufuk modeli elde edilmiştir. Önerilen modellerin alt-oyun mükemmel Nash dengeleri karakterize edilmiş olup, ilgili denge stratejileri temel alınan modeldeki denge stratejileri ile karşılaştırılmıştır. Barut, Y . and Kovenock, D . (1998) “The Symmetric Multiple Prize All-pay Auction with Complete Information”. European Journal of Political Economy, 14: 627–644. Berry, S . (1993) “Rent-seeking with Multiple Winners”. Public Choice, 77: 437–443. Brown, A. and Chowdhury, S . (2017) “The Hidden Perils of Affirmative Action: Sabotage in Handicap Contests”. Journal of Economic Behavior and Organization, 133: 273–284. Cahuc, P ., Postel-Vinay, F ., and Robin, J .-M. (2006) “Wage Bargaining with On-the-job Search: Theory and Evidence”. Econometrica, 74: 323–364. Chowdhury, S ., Jeon, J ., and Ramalingam A. (2018) “Property Rights and Loss Aversion in Contests”. Economic Inquiry, 56: 1492–1511. Chowdhury, S . and Kim, S .-H. (2014) “A Note on Multi-winner Contest Mechanisms”. Economics Letters, 125: 357–359. Clark, D . and Riis, C . (1996) “A Multi-winner Nested Rent-seeking Contest”. Public Choice, 87: 177–184. Clark, D. and Riis, C . (1998a) “Competition over More than One Prize”. American Economic Review, 88: 276–289. Clark, D . and Riis, C . (1998b) “Influence and the Discretionary Allocation of Several Prizes”. 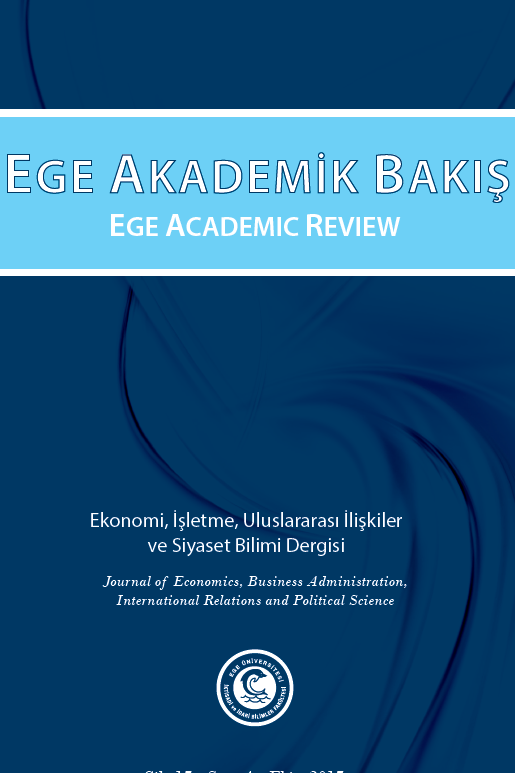 European Journal of Political Economy, 14: 605–625. Corchón, L . C . (2007) “The Theory of Contests: A Survey”. Review of Economic Design, 11: 69–100. Dechenaux, E., Kovenock, D ., and Sheremeta, R. M. (2015) “A Survey of Experimental Research on Contests, All-pay Auctions and Tournaments”. Experimental Economics, 18: 609–669. Dixit, A. (1987) “Strategic Behavior in Contests”. American Economic Review, 77: 891–898. Doğan, S., Karagözoğlu, E ., Keskin, K ., and Sağlam, Ç. (2018) “Multi-player Race”. Journal of Economic Behavior and Organization, 149: 123–136. Dye, R. A. (1984) “The Trouble with Tournaments”. Economic Inquiry, 22: 147–149. Fu, Q ., Lu, J ., and Pan, Y. (2015) “Team Contests with Multiple Pairwise Battles”. American Economic Review, 105: 2120–2140. Fu, Q., Lu, J ., and Wang, Z . (2014) “‘Reverse’ Nested Lottery Contests”. Journal of Mathematical Economics, 50: 128–140. Jovanovic, B . (1984) “Matching, Turnover, and Unemployment”. Journal of Political Economy, 92: 108–122. Keskin, K. and Sağlam, Ç. (2017, Forthcoming) “A Territorial Conflict: Trade-offs and Strategies”. Defence and Peace Economics. Konrad, K . A . (2009) Strategy and Dynamics in Contests, Oxford, UK, Oxford University Press. Konrad, K . A . and Kovenock, D . (2009) “Multi-battle Contests”. Games and Economic Behavior, 66: 256–274. Lazear, E . P . and Rosen, S . (1981) “Rank-order Tournaments as Optimum Labor Contracts”. Journal of Political Economy, 89: 841–864. Mago, S . and Sheremeta, R. M. (2018, Forthcoming) “New Hampshire Effect: Behavior in Sequential and Simultaneous Multi-battle Contests”. Experimental Economics. Mortensen, D. T . (1970) “Job Search, the Duration of Unemployment, and the Phillips Curve”. American Economic Review, 60: 847–862. Münster, J . (2007) “Simultaneous Inter- and Intra-group Conflicts”. Economic Theory, 32: 333–352. Nalebuff, B . J . and Stiglitz, J . E . (1983) “Prizes and Incentives: Towards a General Theory of Compensation and Competition”. The Bell Journal of Economics, 14: 21–43. Pissarides, C . A . (1985) “Short-run Equilibrium Dynamics of Unemployment, Vacancies, and Real Wages”. American Economic Review, 75: 676–690. Rosen, S . (1986) “Prizes and Incentives in Elimination Tournaments”. American Economic Review, 76: 701–715. Rubinstein, A. (1982) “Perfect Equilibrium in a Bargaining Model”. Econometrica, 50: 97–109. Sela, A . (2012) “Sequential Two-prize Contests”. Economic Theory, 51: 383–395. Shaked, A. and Sutton, J . (1984) “Involuntary Unemployment as a Perfect Equilibrium in a Bargaining Model”. Econometrica, 52: 1351–1364. Shimer, R . (2006) “On-the-job Search and Strategic Bargaining”. European Economic Review, 50: 811–830. Stigler, G . J . (1962) “Information in the Labor Market”. Journal of Political Economy, 70: 94–104. Tullock, G . (1980) “Efficient Rent Seeking”. In: J . Buchanan, R. Tollison, and G . Tullock (eds. ), Toward a Theory of the Rent-seeking Society, Texas A&M University Press, pp . 97–112. Wolinsky, A . (1987) “Matching, Search, and Bargaining”. Journal of Economic Theory, 42: 311–333. Yildirim, H. (2005) “Contests with Multiple Rounds”. Games and Economic Behavior, 51: 213–227.